Choosing the right clinic for your detox can make a huge difference in your journey to sobriety. treatment facilities take advantage of patients when they are most fragile. If you are reading this, you or a loved one is probably considering entering detox or treatment. Scottsdale Detox knows there are many facilities you can choose from. deserve to have a facility where the team are subject matter experts. 2. What is the patient to nurse ratio and how many patients can you have at any one time? very nice; however, you need to make sure they are staffed appropriately. 3. Are you accredited by Joint Commission and Legit Scripts? 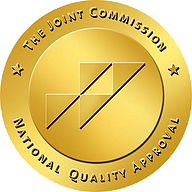 Accreditation by The Joint Commission is considered the gold standard in health care. Legit Script certification ensures the facility is advertising appropriately and not participating in unethical or deceptive advertising practices. 4. How long has your medical director been in this field? The tone of any facility’s detox protocols is set by the medical director. While protocols are important, having an experienced medical director allows the facility to be able to tailor each patients detox to ensure safety and comfort. 5. Does your company own multiple facilities? Many detox’s own “downstream” facilities. This means when a patient goes to their detox, they are only recommending their treatment program as the next step. This can contribute to a relapse. Detox Facilities must match patients to the correct treatment options based on what is best for the patient, not what is best for the bottom line. 6. Do you have a licenses therapist who is certified in substance abuse? It is critical for any detox facilities to have a master’s level clinical director, groups and individualized therapy. Not only does this provide the ability to assess what are the next best steps after detox, but it also sets the tone for the groups and therapy they will participate in post detox. you do your homework and stay away from bad operators. Scottsdale Detox has been open since 2016 and certified by the Joint Commission and Legit Scripts. Our medical director, Dr Reye Topete, MD is a board-certified Addiction Medicine Specialist. He has over 27 years of experience. Our clinical director is also a master’s level licensed therapist with a specially in substance abuse. All nursing staff have extensive experience in detox and behavioral health. facility. This give us the ability to make referrals after the detox is completed to the next steps in recovery. recommend facilities that are not only ethical, but also specialize in what is best for the patient. If you are considering a detox for you or your loved one, please call us for a free consultation. Admission can be reached at (480) 646-7660.